Are you looking for anger management counselling in BC? You’ve come to the right place. Anger management begins with understanding how problems result in thoughts and emotions. Personal problems, be that in the workplace, in family or intimate relationships, can be overwhelming and emotionally exhausting. Many of us may experience a ‘déjà-vu’, that you are having the same type of problem over-and-over again. What does Anger Management Counselling Look Like? When we are in the middle of our problematic experience having lots of emotions and racing thoughts, it is difficult to fully understand the “moving parts” of the experience. Typically, there are five qualities and components to any problem, namely context/situation; physical; emotional; behaviour; and thoughts. Each of these five aspects of any experience affects and interacts with the others. This can create a bit of a domino affect, one in which the interactions between the parts effectively amplify the experience and all the parts, hence creating a self-reinforcing cycle. This is when the sense of being overwhelmed can happen, sort of like a run-away train. So, what can you do with a runaway train? Tough to stop, but ironically, the same self-reinforcing negative cycle can be applied to creating a positive cycle. To start this process, a deliberate and intentional effort of making small changes in one (or more) areas of the experience, will influence the other areas. Small changes may lead to small changes elsewhere, leading to small more changes. In order to be effective and strategic, it is prudent to become a bit of a ‘student’ of your own experience. Reflect and consider the five components as a means of identifying which component of your own distress and circumstance can help target areas for change. 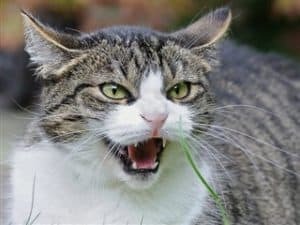 It is difficult to fully capture what anger management looks like in a simple blog post. That is why we recommend that if you or someone you care about is having challenges, then anger management counselling in BC should be your next consideration. At Waypoint, we know that finding a good counsellor can be tricky and can be a hit and miss experience. It is challenging to find the right counsellor by scrolling through the dozens of websites offering counselling. At Waypoint, we have a team of experienced counsellors, each with a breadth of knowledge and personal style. You can check out our profiles here or you can contact us directly and we will talk with you either on the phone, by email, or even by text – and get a sense of what you are looking for. Based on that, we can tailor the fit for you. Once we suggest a counsellor, you can meet with him or her for a complimentary 30 minute session to see if the “fit” is right for you. If not, you can contact us and we will continue to help you find the right counsellor.